I've seen Dr. Wayne on and off for 5 years and can say that he is absolutely fantastic! I sit at a desk all day long and have some pretty sever back/neck/shoulder problems. Dr. Wayne listens carefully, adjusts thoughtfully, and has the best attitude/manners. I really do recommend him to all of my friends. Dr. Wayne was incredible. Besides being the only person to cure my crippling sciatica (not even physical therapy could), he took the time to talk, learn, and slowly help me to heal. It only took a handful of appointments to feel better, but it was nothing short of amazing. HIGHLY RECOMMENDED! I was in a car accident about 2 weeks ago, and I've had 3 visits with DR Chuck since the accident. Not only is Dr. Chuck an amazing Chiropractor, but the office staff is pleasant, interesting, and understanding. With late appointments to accommodate my schedule to helping me out with supplies and exercises for my recovery, its an easy choice for me. Dr Chuck, let me tell you what, he is an amazing Chiropractor. He is very patient, understanding, and seems to genuinely care about your well being and recovery. I'm still on the long road to recovery, but I have a feeling it will be a little easier than expected thanks to the skill of Dr. Chuck. 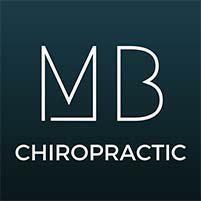 I can wholeheartedly recommend Dr. Chuck and the staff at Mission Bay Chiropractic, they are amazing! With so many Chiropractic care choices in SF make the right one, like I did, and go see them! I was looking on yelp for a chiropractor and with great luck, I found Dr. Chuck who was just a block from my work. I ditto almost everything that was said about Dr. Chuck. I've been training a lot the last couple of years and my body has taken a beating, especially when things don't heal as they used to. At first I went to see Dr. Chuck for the chronic back pains that never seem to go away. He definitely made them disappear. Now I return for routine maintenance and my back is healthier than its ever been. You can't go wrong with Dr. Chuck. referred by a then-coworker after having a terrible experience with the previous chiropractor sometime in 2008, been a customer of dr. wayne since then. i get my 'maintenance' adjustment done every 4-6weeks, about 30min session each. great service AND great price. makes you feel very comfortable and genuinely cared. i also like that this place doesn't try to sell you stuff like some uh, other places i've been to..and they genuinely care about your well-being, not just your $$... highly recommended, i'd give an extra star if could. Not only were they able to see me right away, the day after a major car accident, but Dr. Wayne was very gentle and caring about my condition. He has started me with an easy treatment as we help the swelling retreat, and I am confident in his approach. After about a week, my pain is a bit worse, and his treatment is slightly more aggressive. It is hard being injured and working, but he is really helping me. We moved offices and were in need of some ergonomic evaluations for employees. I found Mission Bay Chiropractic, gave them a call, and within a few minutes scheduled Dr. Affatato and Dr. Yuen to visit our office. Since then, we have had them return twice! Dr. Affatato and Dr. Yuen know exactly what we need and are efficient. Our employees find their evaluations very helpful and appreciate their attention to detail. I am so glad we found them and look forward to working with them more! I have been to many many chiropractors and massage therapists in my day, and Dr. Wayne and Gina are literally the best I've ever had. Dr. Wayne (chiropractor) is extremely attentive, explains what he is doing and why, and showing me how my spine is changing and improving over time. He makes sure to loosen the muscles around each part of the spine to be adjusted before he adjusts (read, micro massage). Gina (massage therapist) may be a magician. She also explains and engages me throughout the massage to explain where she is applying pressure and why, and to ask when I feel a release. After 6 weeks with these two, I sleep better, run faster, and have more energy. I found Dr. Chuck through a co-worker who gave a shining recommendation. Everyone at the office has been great and even though I was really tentative about adjustments, Dr. Chuck was very clear with what he was doing and most importantly for me, why he would do whatever it was he was doing. I was experiencing severe stiffness in my neck muscles, my back had tightened and I had sharp pains racing down the left side of my back, and my left shoulder was always sore. By the time I went for help, my left arm would be numb once in a while. I've been seeing Dr. Chuck for a few weeks now, and I know I'm on my way to recovery! I sleep better and am more aware of my body position. Also, fewer headaches. Dr. Chuck also gave me some great stretches I could do throughout the day and recommendations for what I could do in my office to ease the repetitive motion strain. Thanks again! Dr. Chuck is simply AMAZING. Extremely knowledgeable, super friendly and makes you feel comfortable. I've been to many different doctors, chiropractors, and even acupuncturists over the years and I am confident in saying Dr. Chuck is the best chiropractor in SF. Not only is he extremely sound in his craft, he has a knack for explaining clearly the issues you are having and why you may be having them. Doctors never seem to take the time to do this anymore, but not Dr. Chuck. He has a friendly attitude and is very easy to speak with as well as takes the time to answer any and all your questions in lay terms. I am an avid fan of what preventative chiropractic care can provide, especially if you are physically active. Dr. Chuck is a wonderful chiropractor. I highly recommend him. Dr. Chuck is a lifesaver! Sounds cheesy, right? But this guy helped take away my severe back pain with adjustments. Also, he gave me an exercise plan to help achieve long term pain management and muscle strengthening. What he didn't do was set me up on some 30- visit program that went right for my wallet. I had given up on the idea of living pain free...and then a moment of luck when I found him on YELP changed my outlook. He genuinely wants his patients to feel better. He is personable and easy to talk with. I have recommended him to some of my co-workers who have had injuries, too! Go see him, you won't regret it! I love this place. Threw my neck out and Dr. Chuck was able to to fix me right up. I was a little sore from the work for a day, but was soon good as new. He even called a couple times to check up on me. Dr. Wayne rocks. No other way to put it. After severely injuring my back six months ago I was in pretty much constant pain and discomfort since. Physical therapy didn't work and only after seeing Dr. Wayne did I experience long lasting relief. Through a mixture of deep tissue massage, electric muscle stimulation, and basic stretching I hardly ever experience any pain at all. Office staff is so friendly and efficient other practices need to follow suit. Dr. Wayne and Dr. Chuck are so great! After my accident, I really only trusted them with my case. They offer conservative , effective chiropractic care and they are the most welcoming chiros I've ever worked with. They always have a different playlist in the office. The enviroment and the degree of professionalism here is so very condusive to healing. Thank you guys. You are a wonderful team. PS. Gina the massage therapist is AMAZING! Just by mapping the tension in my muscles, she was able to accurately determine the exact positioning of my body at point of impact. GIVE HER A TRY, TOO!! I need to update my review of Dr. Chuck at Mission Bay Chiropractic. I strained my lower back after returning to the gym and doing too much. I had never had a back injury that was so painful! (Unable to stand when I first did it.) I thought it would be a very, very long recovery. Dr. Chuck immediately explained what I had done and did not make me feel foolish for my over zealous workout. In less than a week, I was doing all normal tasks and practically pain free! With his expertise along with the stretches and exercises that he recommended, I am well on my way to full recovery. Nice to know I will be back in the gym soon... as an older, wiser me. Thanks again, Dr. Chuck! I've been seeing Dr. Wayne for almost a year now. Mission Bay Chiropractic was close by so I gave them a try. Dr. Wayne's chiropractic skills are excellent. But more than that he's been very helpful with exercises to strengthen my back and neck. And also we are working on improving my posture. I'm finding out I carry one shoulder higher than the other and tilt my head along with other posture errors. Dr. Wayne is helping me correct that with treatments and exercises. I also appreciate the flexible hours. With my job I'm never sure exactly when the day will end and Dr. Wayne allows my appointment as late as 6PM.